All-in-one customer solution from proposals to account performance! 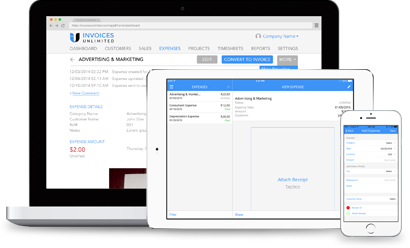 We make sending professional invoices easy! Doing business with a client on a regular basis? Set a recurring date for automatic invoice generation. Connect your payment gateway and quick and direct payment. Minimize your expenses to maximize your profit with a streamlined expense tracker! Capture and analyze all expenses to highlight high spend areas of your business. Our fixed expense feature automatically records recurring expenses to reduce possible missing or double-entry errors and increases budget management efficiency. Personalize your expense categories to enable more efficient searches and grouping of expenses. 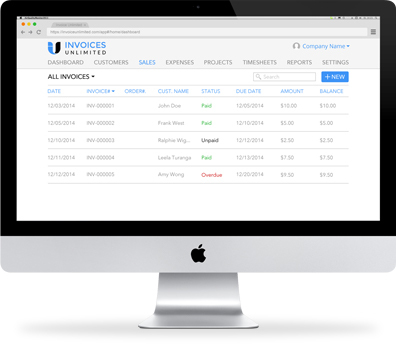 Managing project is absolutely simple with Invoices Unlimited. Create and assign tasks from wherever you are. Make sure work gets done! 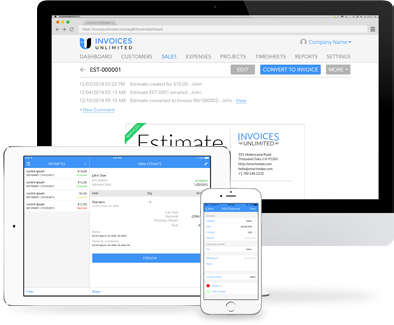 Invoices Unlimited will fetch you the billed hours and you can instantly invoice for the project. A simple and flawless process. Get the timer going for projects instead of manually logging time. Track billed and unbilled hours anytime you want. Once the project has been completed, you can add unlimited billable expenses to the project. Send professional estimates to impress customers and close new deals! Our proposal templates are easily customizable to personalize for each customer. 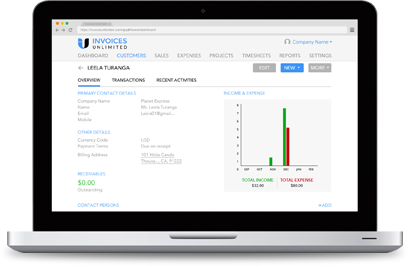 Our solution makes it simple to convert proposal estimates to invoices in just one click. Track the status of accepted or declined proposals for increased efficiency for your sales team. Every customer from small to large can be easily managed in one system! Create, edit, and manage your customer profiles in one database. Our secure client portal enables direct access to your customer’ business information and activity reports for decision making. We’ve stream-lined the process for you and your customers to interact with each other with ease, promoting swift communication. With our analytics, you get a 360 degree view of your business! View sales reports by customer, item, and salesperson to gain insight into the effectiveness of your current sales team and processes. See detailed reports of all outstanding invoices by aging category to help determine follow-up and collections actions needed. 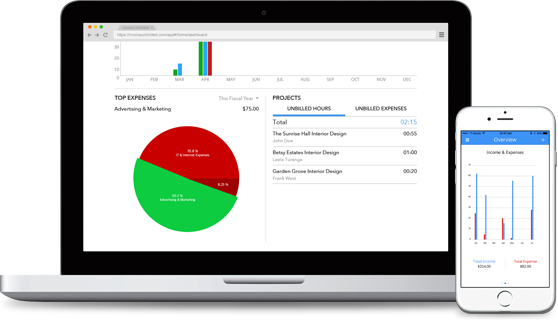 Create and view line-item expense reports for your business to better manage profitability.